In the early decades of the 19th century, the most commonly used Western method of surgical pain-relief beyond drinking ethyl alcohol was Mesmerism. In his doctoral dissertation of 1766, De influxu planetarum in corpus humanum ["The Influence of the Planets upon the Human Body"], Austrian physician Anton Mesmer postulated the existence of a universally distributed but invisible fluid which flows continuously everywhere. This cosmic fluid serves as a vehicle for the reciprocal influences of heavenly bodies, the earth, and living organisms. Mesmer believed that "the harnessed powers of the cosmic energies" were accessible to enlightened souls such as himself. Sickness and disease were supposedly caused by imbalances in the tidal effects of the universal fluid. Over time, Mesmer developed trance-inducing techniques of touching, stroking, hypnotic stares and the waving of magnetic wands to remedy cosmic fluid imbalance in the troubled bodies of his patients. Mesmer was convinced that his techniques could potentially banish pain and suffering. In practice, their success depended on patient susceptibility to hypnosis, which varies. The term "hypnotism" itself was coined only in 1843 by Scotish surgeon James Braid (1795-1860). The name derives from Hypnos, the Greek god of sleep. 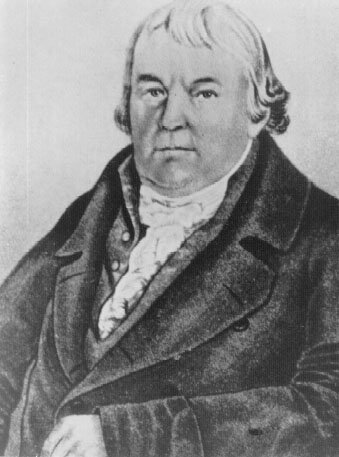 Braid coined the term expressly to discourage any association of his hypnotic techniques with Mesmer's fanciful metaphysics. Mesmer's habit of conducting his Paris healing sessions while dressed in purple silk and holding an iron rod did not add to his credibility with mainstream physicians. In 1784, Louis XVI had established a committee consisting of the most famous doctors and naturalists of the age in order to investigate Mesmer's mysterious "animal magnetism". The committee's members included Antoine Lavoisier and Benjamin Franklin. The Report of the Franklin Commission concluded that Mesmer's "magnetic rays" didn't exist; and any benefits from such treatment came from auto-suggestion. The committee also concluded that magnetic treatment was perilous for women since its effects might destroy their sexual inhibitions. This charge was later levelled against use of chloroform, ether and nitrous oxide in surgery.